Front-wheel-drive sports sedan takes on European competition with a high-revving 4-cylinder and a powerful V6, good handling, modern looks, and exhaustive standard features. The Acura TSX was thoroughly redesigned for the 2009 model year.For 2010, the Acura TSX lineup will be joined by a V6 model. Shared with the larger Acura TL, the new V6 produces 280 hp and is mated to a 5-speed automatic transmission. 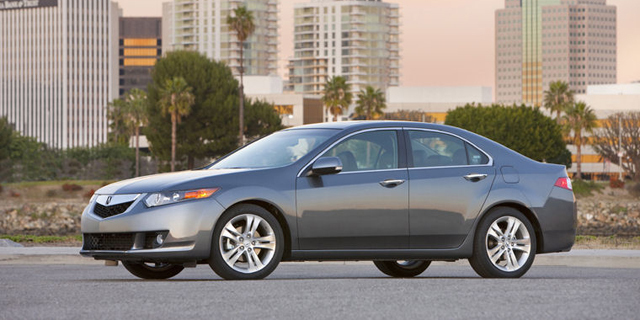 Find the used Acura TSX of your choice from a dealer in your area. Search our used car listings now.